Ancient and Medieval history, modern military history, paleontology, microbiology and parasitism. 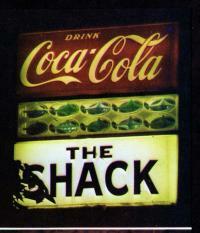 The Shack was a famous watering hole in Chapel Hill NC across the street from He's Not Here. it was torn down, despite all predictions it would fall down first, about 1990. Never forget, the enemy can always play worse than your team. This is true at any point in the game. Just saw Flamu's YouTube vid of Sovetsky Soyuz- it has a poll appended about players' opinions of CVs in their matches with about 6 responses- currently just over 52% say that the presence of a CV in their game makes their game experience MUCH WORSE, and thats just one of the negative responses. Im really pretty surprised, I thought it would be overall slightly negative, but its more like 80% are using one of the negative responses. Would be such a temptation to aim for 4 fires against this, assuming that stuff near the fantail counts as superstructure, and no Fire Prevention skill. Sweet analysis. As useful for surface ship players as for the CV captains. Facepalm, just facepalm. OK, then give me a "mechanic" where if I aim just ahead of where I should, ALL my destroyer's torps will hit you. Can I refund the Azuma? I do this with Ibuki with double rudder shift, range mod, and spotter plane, and I have only a 13 pt captain in it. It has cruiser ROF and really good sigma, and does have 10k torps. Im not sure that Azuma can do better. Im keeping my 1.5mil FXP for something convincing. Remember the good old days when we just put up the "no subs" quote from Sub_Octavian? Was with you in a win a day or so ago. My prior potato normally worked at 15-20 FPS, put in about 8k games on it lol. Zoup, heard the podcast where Vanessa and Aeroon were talking about this ship you thought they were trolling an April Fool. Good times. Enjoyed hearing you, would like to hear you with them more often. No mods, and I would favor not knowing anything about the enemy team composition until they are spotted, to say nothing of knowing virtually everything about them before spawn. I do that with concealment, range and double rudder shift build on Ibuki. Although I have virtually every purchasable/FXP ship and like IJN ships, Im not interested. Can spare the cash, have 1.5 mil FXP, and sitting here waiting for something appealing. I have said various places that I think the skill gap with CV players is greater than before the rework. The difference is that the stronger player cannot neuter the weaker with strafes and then lock him down with fighters. Now, the weaker player gets to fly his strikes and play on, even if ineffectually, often until he is all that is left of his team. So more players are playing CV's because they cant be handcuffed and are more likely to get to play well into the game. I have pretty much all the Premiums until now, wouldnt miss the money, have 1.5 million free XP and 330K coal, but nothing is interesting me. Salem, maybe, Azuma, nope. I have the post CV rework blahs. Straight up with equally skilled players starting from full HP, pretty much this.